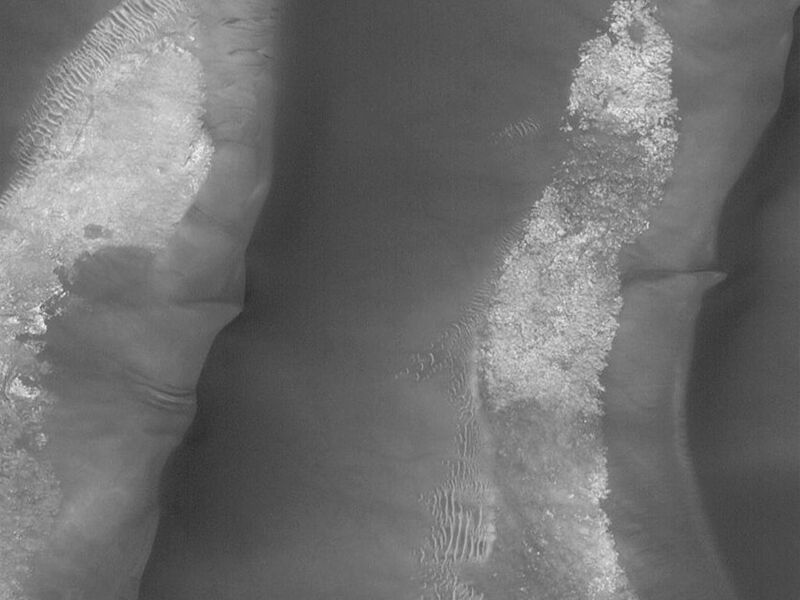 This Mars Global Surveyor (MGS) Mars Orbiter Camera (MOC) image shows large, low albedo (dark) sand dunes in Kaiser Crater near 47.2°S, 340.4°W. The dunes are--ever so slowly--moving east to west (right to left) as sand avalanches down the steeper, slip face slopes of each. 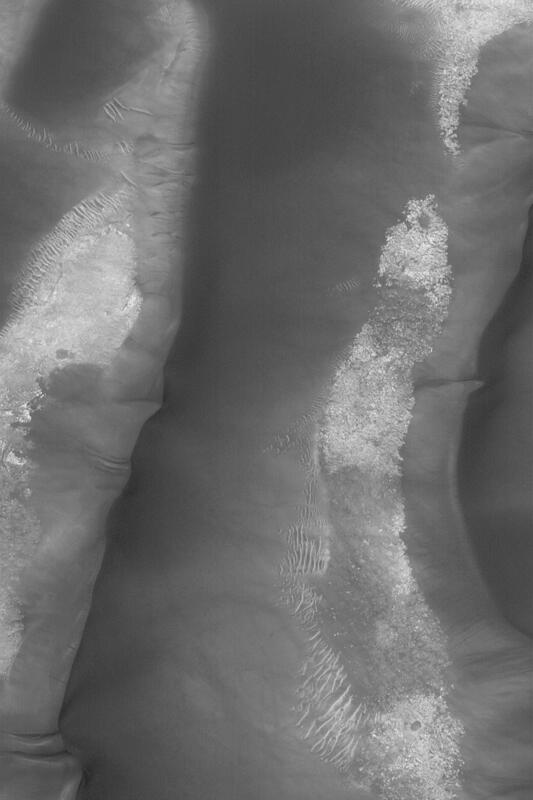 Avalanching sand in the Kaiser dune field has left deep scars on these slopes, suggesting that the sand is not loose but is instead weakly cemented. 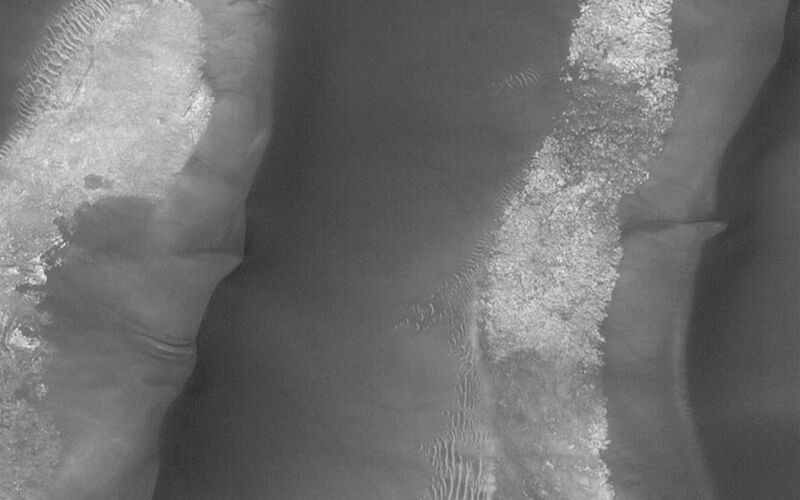 The image covers an area approximately 3 km (1.9 mi) wide and is illuminated by sunlight from the upper left.